The cold snap of a Fall morning was in the air marking the end of a long and successful air tour season for Grand Canyon Airlines (GCA), but this change in weather still didn't stop the late-season tour groups from wanting a birds-eye glimpse into the world famous gorge. Normally, the veteran air tour company was slowing it's pace as it prepared for another long Arizona winter, but 1989 was an unusually busy year for tourism and the buses kept coming. Tauck World Discovery Tours was no exception and a group of 37 retired and elderly vacationers eagerly waited in line to purchase tickets for the aerial sightseeing tour of a lifetime. 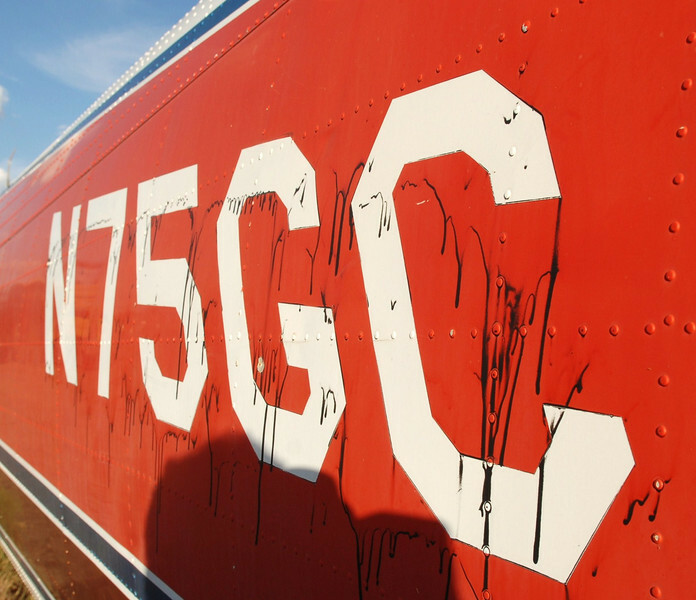 In command of VistaLiner "N75GC" was Captain William H. Welch. Captain Welch age 47, had been with GCA since April 1986 and accumulated a total of 4,120 hours of flight experience of which 2,610 hours had been in the Otters. Captain Welch was also a company instructor and a proficiency check pilot as well. His experience level overshadowed many pilots in the airline, but none more so than his First Officer Keith K. Crosson, age 43. This was Crosson's first season with GCA having been employed on June 12, 1989. Crosson had a total of 1,309 flight hours, but only 339 hours of that flight time was in the Otter. 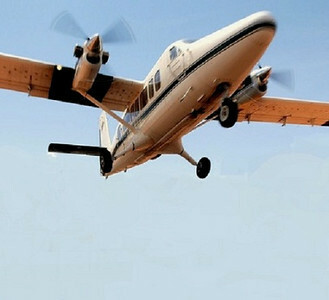 With its payload of 19 passengers seated and belted in, the deHavilland Twin Otter known by the call sign "Canyon 5" departed at 9:00 AM for the canyon. According to surviving passengers, the flight was uneventful as Captain Welch narrated the tour to the passengers and First Officer Crosson piloted the turbo-prop across the mile deep gorge. At 9:48 AM, controllers at Grand Canyon National Park Airport cleared "Canyon 5" to land on runway 21. Captain Kevin Girrard of America West Airlines was holding short of runway 21 in a deHavilland Dash 8 when he noticed "Canyon 5" on final approach. "The approach appeared to be normal, but then there was this cloud of dust" said Girrard. Tower Manager Bob Evans in the control tower had a better view as he noticed "Canyon 5" bounce and then veer to the right side of the runway in a cloud of red dirt while scraping the right wing along the ground. Suddenly the plane's nose rose up sharply and for a moment Evans thought the tour plane might actually hit the control tower itself. Banking left, the plane continued to climb past the tower, but began to enter a rolling left turn. 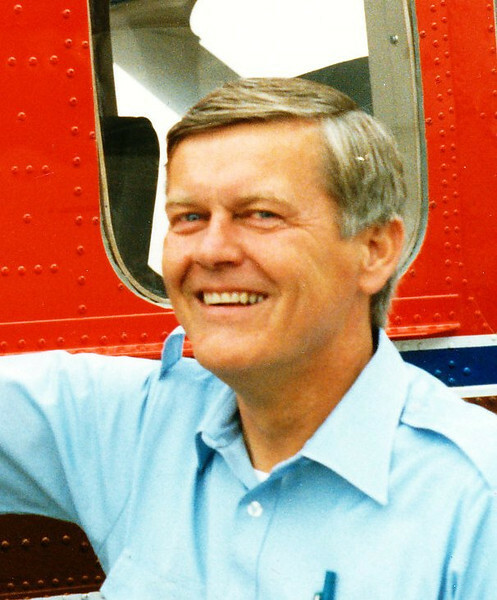 Climbing to an altitude of about 200 feet, Evans could see a crash was imminent and without hesitation he pressed the red crash alarm button. For less than two seconds the alarm sounded throughout the airport, but was suddenly silenced as the left wing of Otter cut through an electrical cable that supplied power to the airport. Both wings separated from the Otter as it cartwheeled into the treeline about 1,200 feet east of the runway. 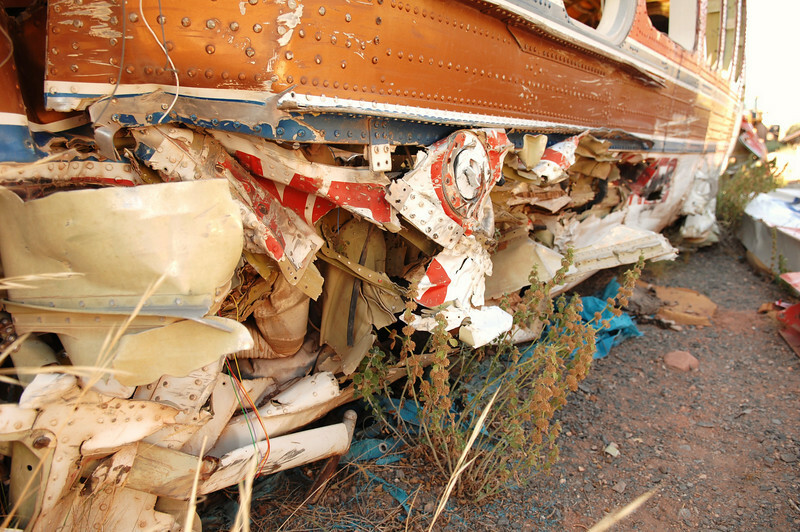 The remains of Canyon 5's fuselage came to rest on it's left side. Fortunately there was no fire or the accident would have been much worse. The toll was still devastating as the occupants of Canyon 5 were either dead, dying or injured. An agonizing 10 minutes passed before the tower was able to establish communications with the airport's Aircraft Rescue and Fire Fighting (ARFF) crew. The emergency response was slow and dis-organized with the first responders arriving at the accident scene just after 10:00 AM and mistakenly leaving critical first aid equipment at the fire station. It was not long before multiple emergency agencies began to arrive offering their services to the injured. In all, both pilots and 8 passengers were killed. 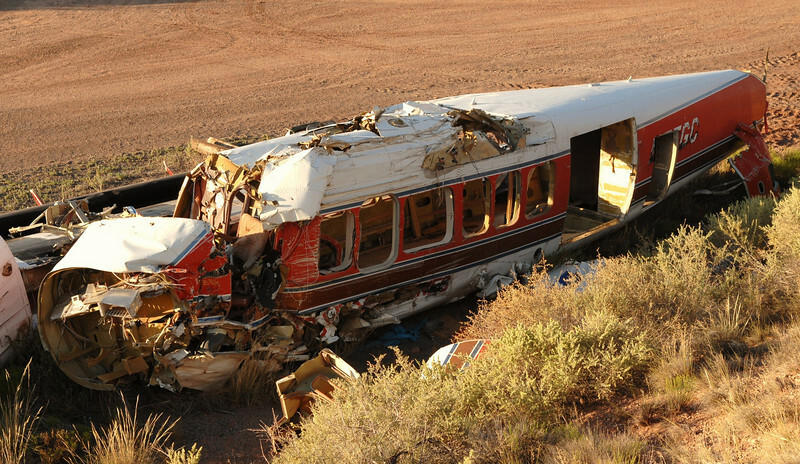 9 passengers received serious injuries and two passengers received minor injuries. The accident site of "Canyon 5" lies just outside of the airport property boundary. 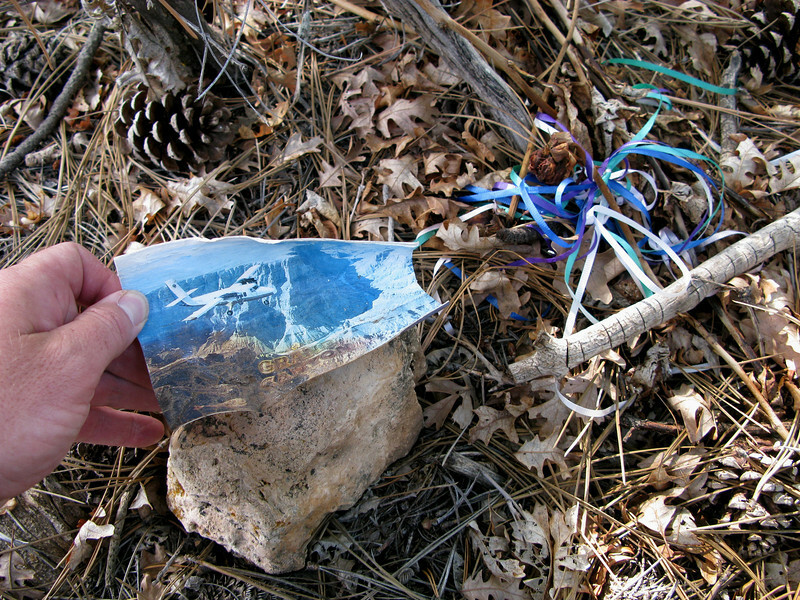 The site consists of very small fragments of metal, plastic, and window Plexiglas. 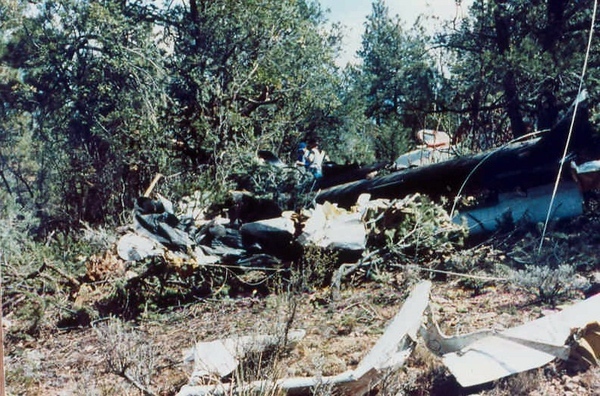 Although considered a micro-site in the aviation archaeology community, the site serves as a frequented memorial to those who lost friends and loved ones in the accident. 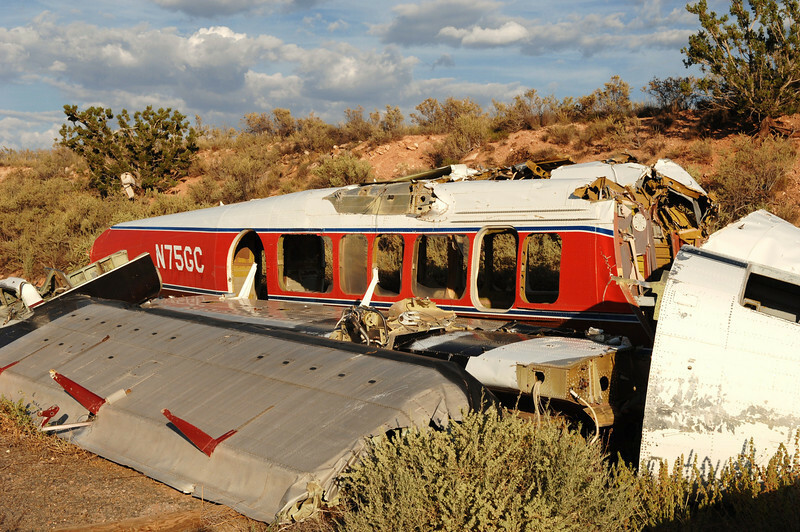 For many years, the main wreckage of "Canyon 5" was placed in open storage at Grand Canyon Valle Airport (40G). Well hidden from curious tourist eyes, the wreckage was property of GCA owner John Siebold for many years until it was sold to R.W. Martin, Inc. in December 2008 for scrap and rebuild purposes. While in storage at Valle, I was given the rare opportunity to photograph the wreckage of "Canyon 5". The air tour season of 1989 would be the start of a decade long increase in tourism to the Grand Canyon. 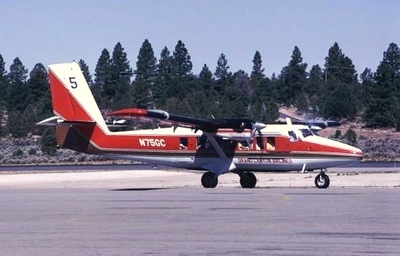 By 1989, Grand Canyon Airlines was operating four deHavilland Twin Otter "VistaLiner" aircraft and most flights were operating at full capacity. The deHavilland DHC-6-300 Twin Otter (N75GC), s/n 439, was manufactured in 1975. 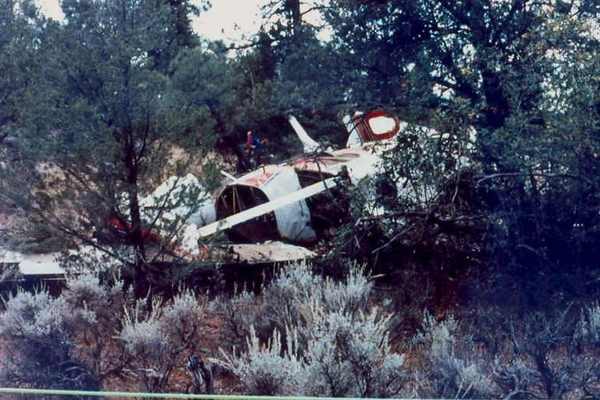 The airplane was acquired by Grand Canyon Airlines on May 30, 1987. Modifications to a "VistaLiner" took place shortly thereafter. Returning from an air tour at Grand Canyon National Park Airport, this photograph of "Canyon 5" as it was known by it's call sign was taken during July 1989. Canyon 5's final approach to runway 21 appeared to be normal, but the aircraft bounced once and control was lost on the second touchdown. The flight then began to veer to the right ride and then ultimately to the left of the runway as depicted by the graphic illustration. In attempt to correct the sudden high-speed right swerve, Captain Welch probably tried to correct the situation by turning the aircraft back to the runway center-line with a combination of left brake, rudder and operating the hydraulic nose-wheel steering tiller. 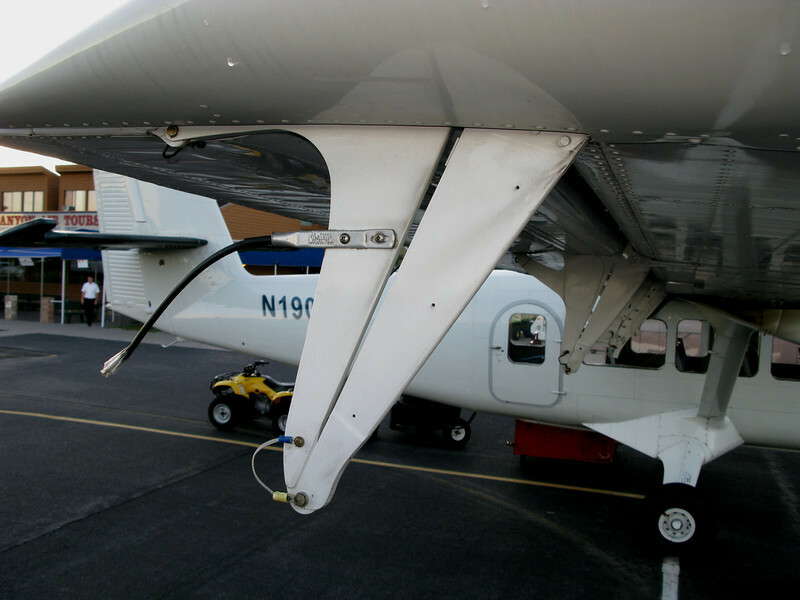 This action resulted in the right-side outboard flap hinge arm (pictured) striking the runway. The damage to the Flap Hinge Attachment Brackett and Fore Flap Hinge Arm restricted free and full travel of the aileron. 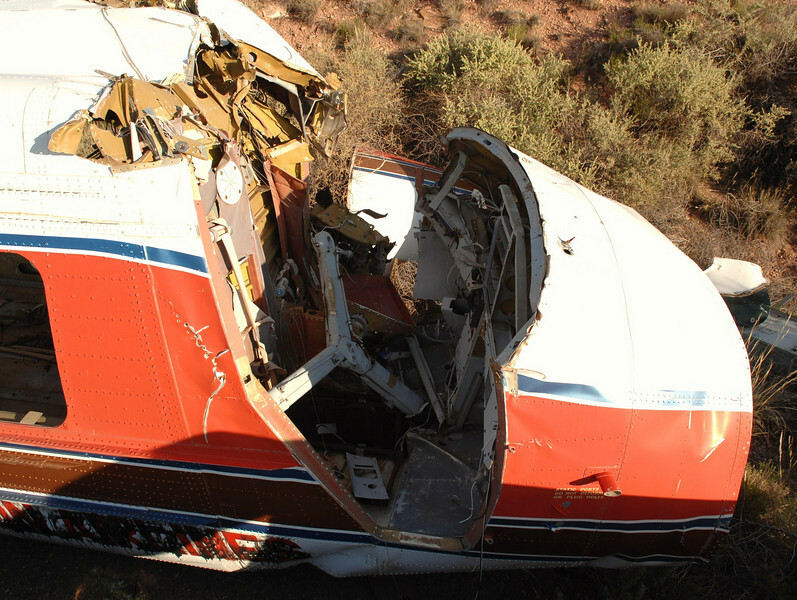 The NTSB Investigators were unable to determine just how much restriction there was in the controls. This photograph of the recovered Flap Hinge Arm Attachment Bracket displays evidence of it's contact with the surface of the runway. 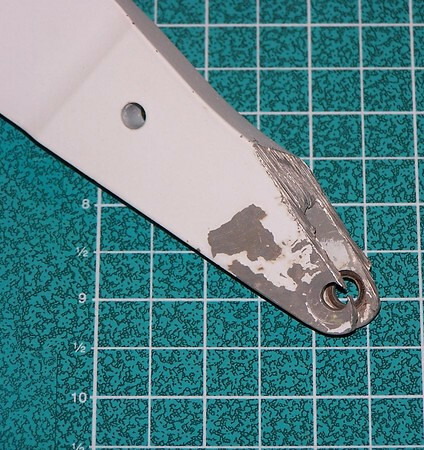 The outboard flap hinge arm and fore flap had been abraded half way through the hinge bolt. 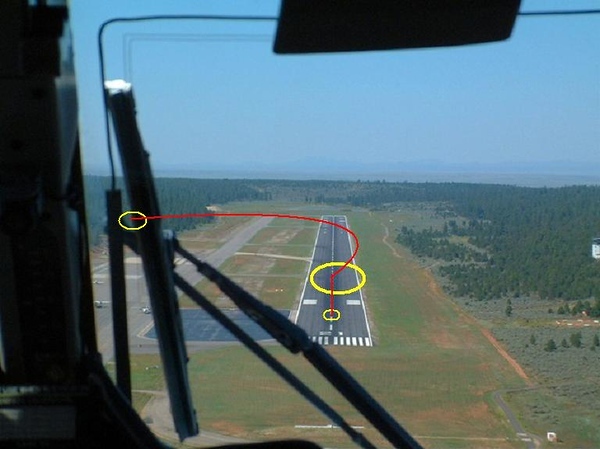 The NTSB Accident Investigators documented a 90' foot score mark on the runway. The crushing damage is evident on the rib joint plates from the Flap Hinge Arm. Accident investigators were unable to determine how much control restriction was present due to extensive post-crash damage. After an exchange of commands from the captain and what appeared to be a fight for the controls, Captain Welch took full control of the aircraft from First Officer Crosson and initiated a go-around. 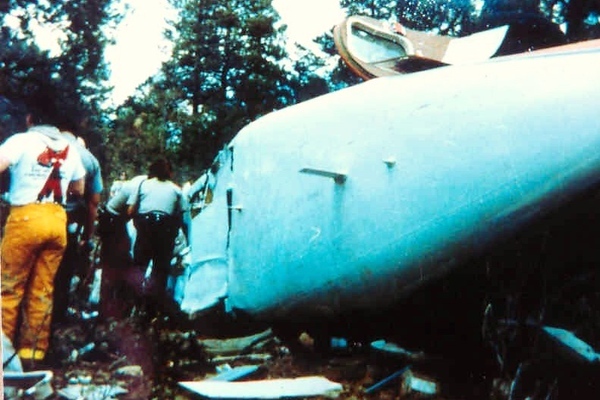 Welch, unaware of the damage to the right aileron. The aircraft, for reasons unknown began a steep climb while rolling uncontrollably to the left. 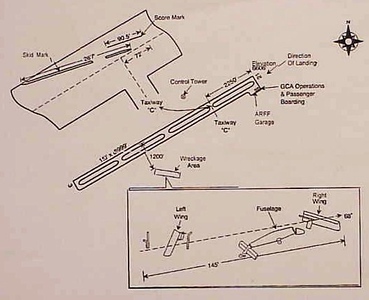 This wreckage distribution diagram from the official NTSB Accident Report illustrates the layout of the accident scene. Aerial view of the accident scene. 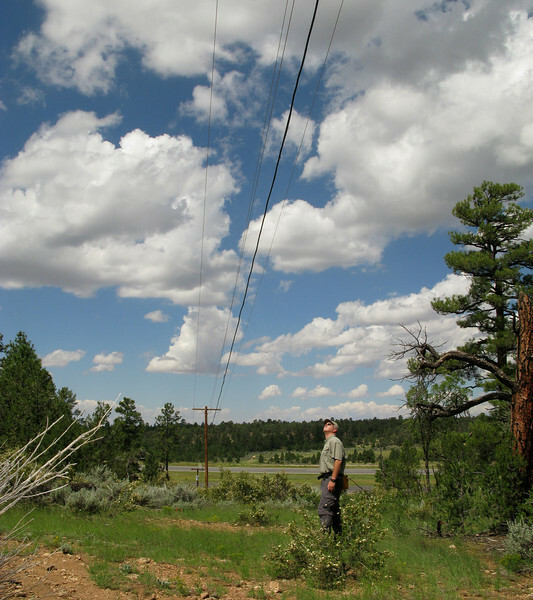 This photo also illustrates the close proximity of the three-phase electrical power lines that supplied power to the airport's facility's. With the heavy smell of jet fuel in the air, the danger of fire was great. The rescue crews disconnected the aircraft battery terminals to prevent a spark. With the aircraft on it's left side, the injured passengers had few escape routes. Some were able to crawl underneath the fuselage while others tried to climb up and through the aft right emergency exit. Most of the injured passengers were trapped until rescue workers could save them. Emergency workers and firefighting personnel from various agencies prepare to cut through the top of the aircraft in an effort to rescue injured passengers still trapped inside. 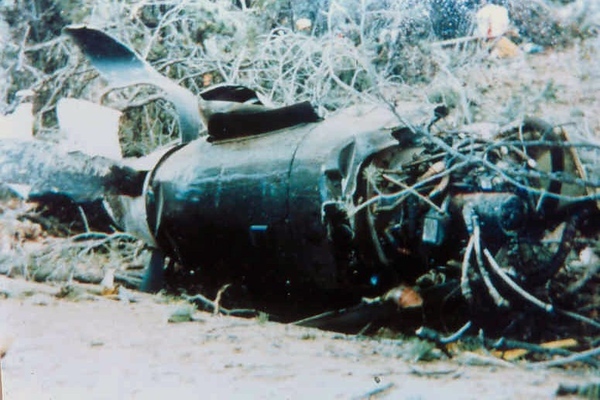 A combination of the initial impact and hitting the trees literally tore the aircraft apart. 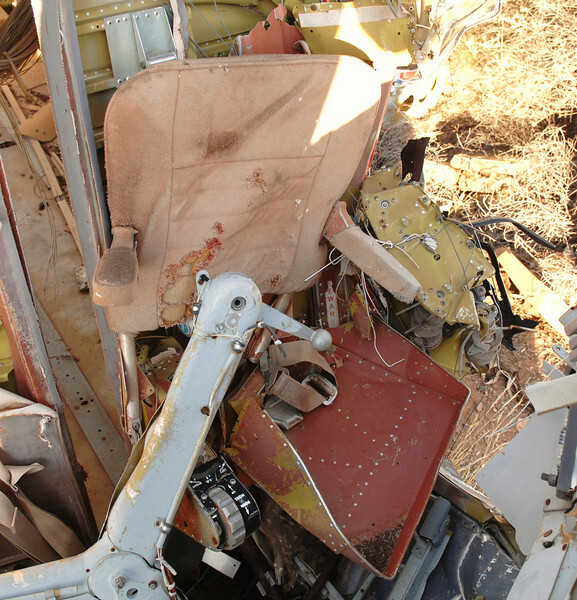 The cockpit section of the aircraft took most of the blunt force impact in the accident. As a result, both crew members received fatal injuries. The left engine and propeller was ripped from its mounts. The aircraft severed electrical power lines that provided power to the airport. 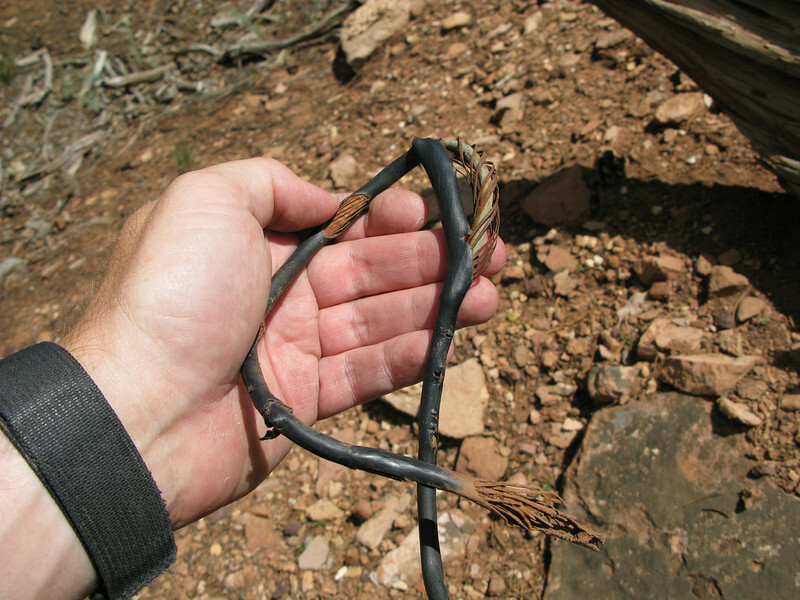 Many of these wires can be seen entangled in the wreckage. With so many possible ignition sources present, aviation safety experts are still baffled that there was not a fuel-fed post crash fire from this accident. A firefighter takes a break as rescue workers prepare to remove another injured passenger from the aircraft. 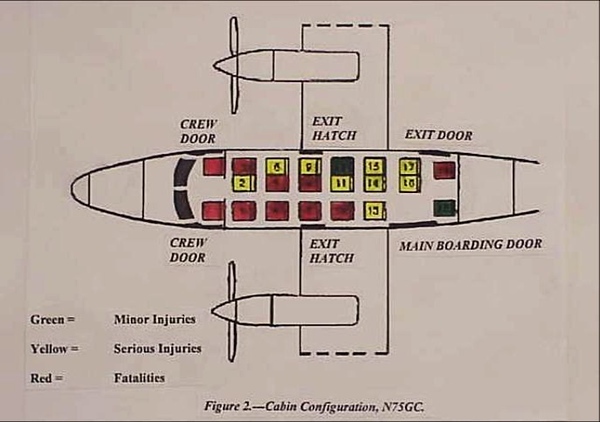 This aircraft cabin configuration diagram illustrates where the injuries and fatalities occurred on "Canyon 5". Most of the fatalities occurring on the left side of the aircraft. 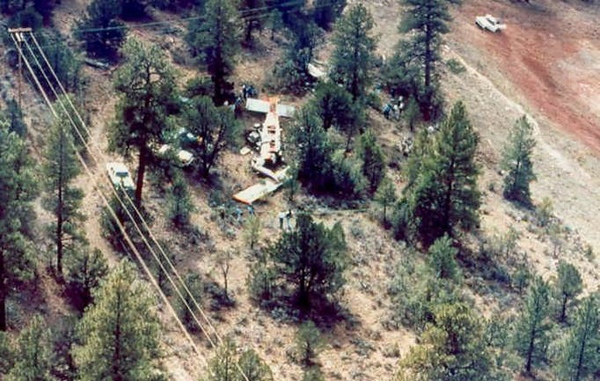 Even though the accident involving "Canyon 5" never actually occurred over the Grand Canyon, it did add the "fuel" for the ongoing heated battle between air tour operators and environmental groups wanting to end air tours over the canyon. 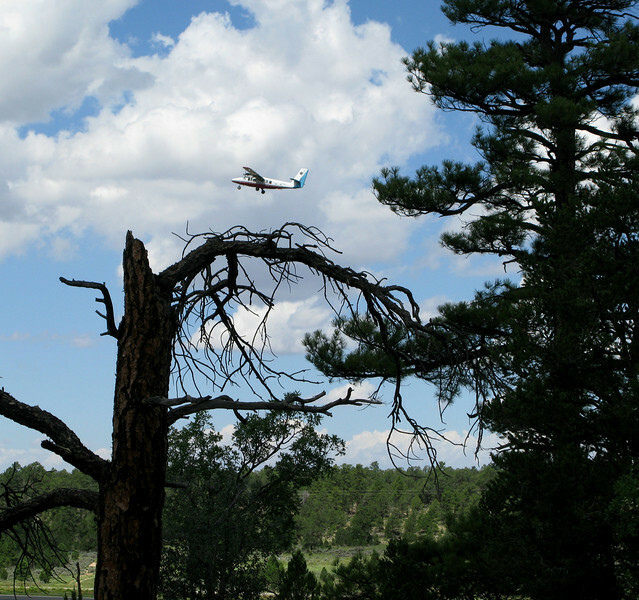 With fading public support for the concerns of aircraft noise pollution, environmental groups and the media soon focused on air safety in the canyon. 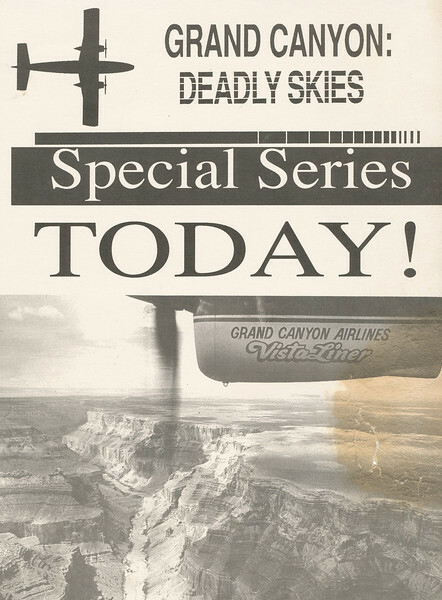 The 1990 special series "Grand Canyon: Deadly Skies" ran for a week in the Tucson Citizen newspaper. 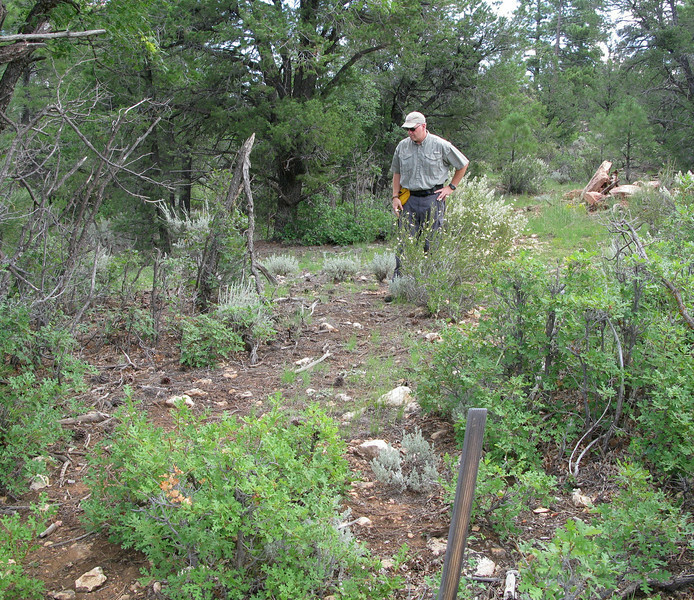 Pick a nice day and a visit to the crash site of "Canyon 5" is almost like strolling through a wooded park. 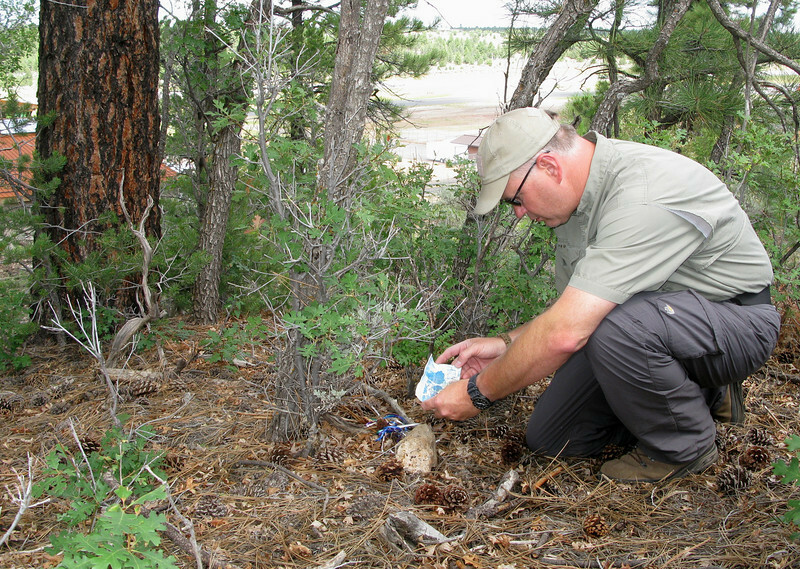 I first located the site in 1991 when I started flying air tours for Air Grand Canyon. 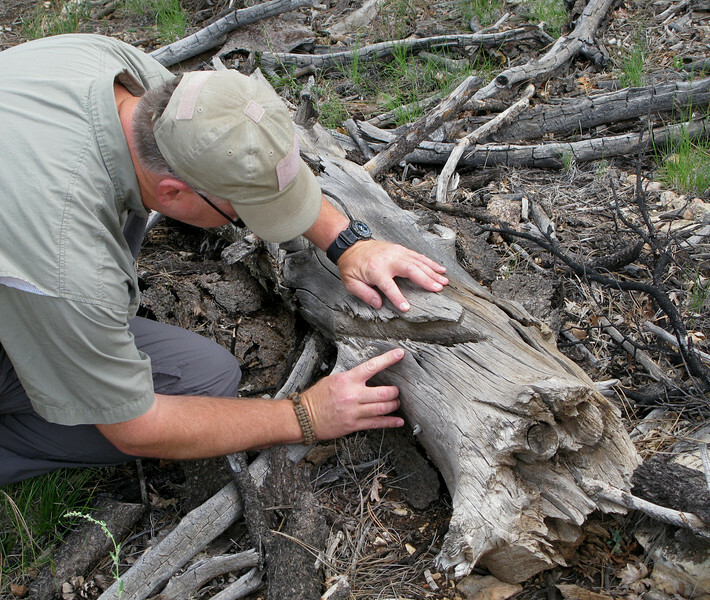 I came back to the site in August 2010 to properly document the crash site. The crash site is located outside of the airport east perimeter fence and situated on land managed by the U.S. Forest Service. 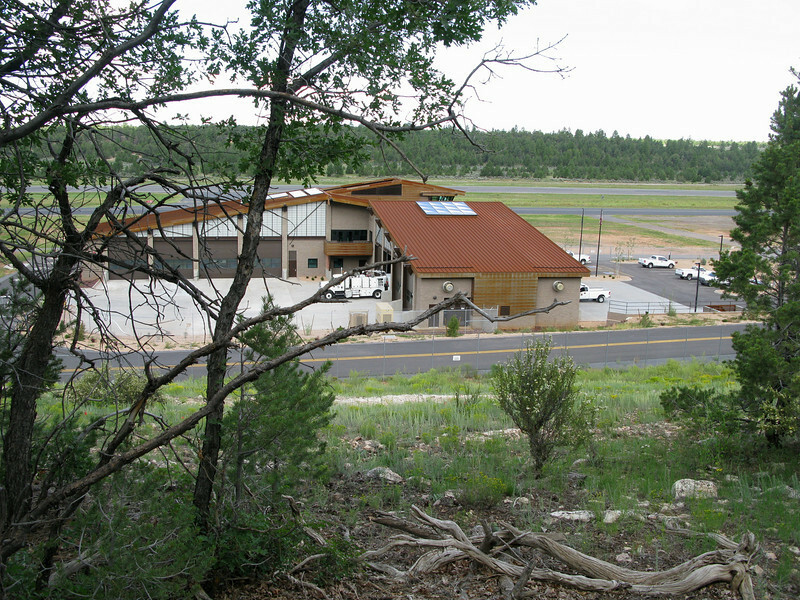 The new Aircraft Rescue and Fire Fighting (ARFF) Facility officially opened in June 2010 is located just downhill from the crash site. 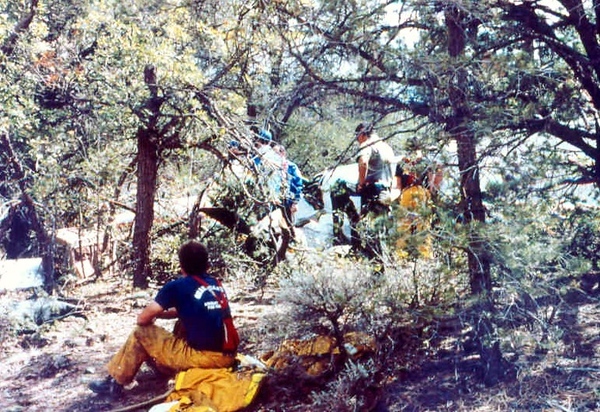 The location, ironically is in the same area where rescue workers established a triage center and command post during the "Canyon 5" accident rescue efforts. 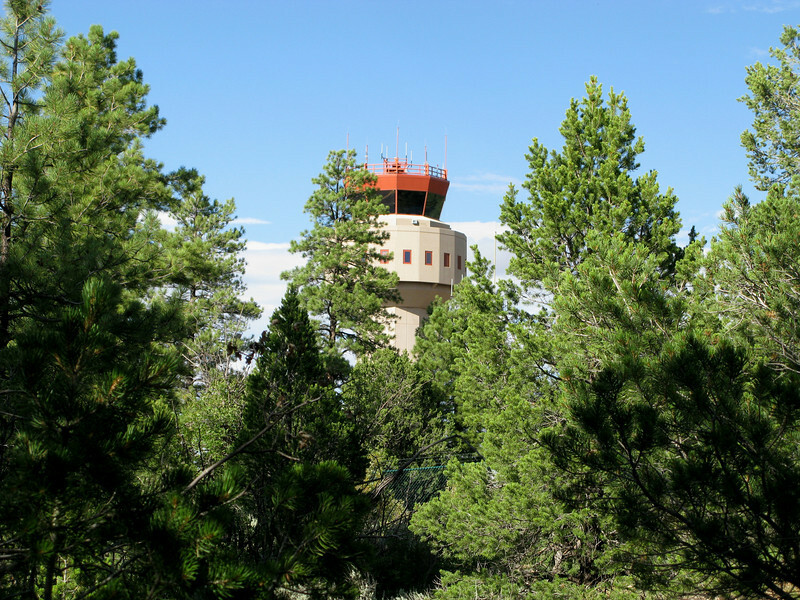 Another facility recently built near the crash site of "Canyon 5" is the new air traffic control tower. Constructed just north of the crash site, the facility opened on May 21, 2003 and subsequently replaced the old control tower on the west side of runways 03 and 21. The fragments are small, but a close look at the surface one can still find small pieces from this accident. 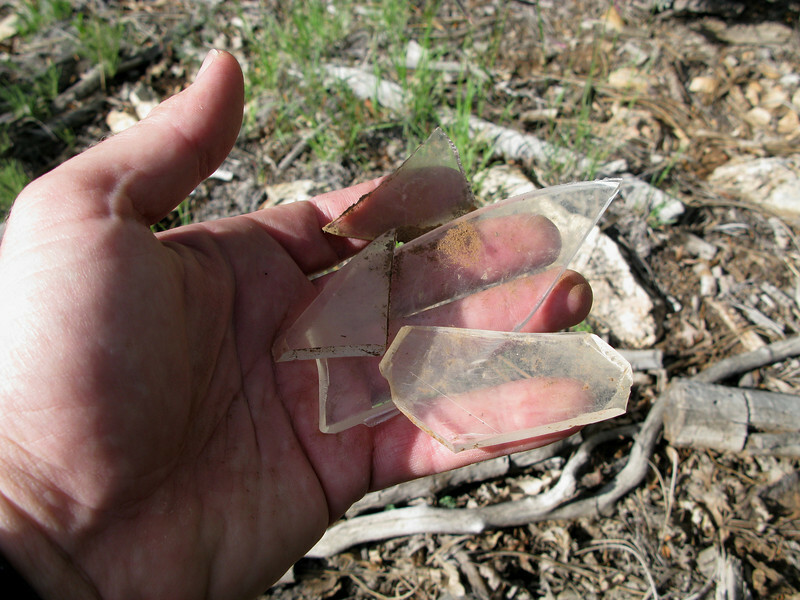 Since this aircraft was modified with large passenger windows, I was not surprised to find fragments of broken Plexiglas scattered at the site. Most of these passenger window fragments originally came from the left side of the aircraft (the side the aircraft was on against the ground). 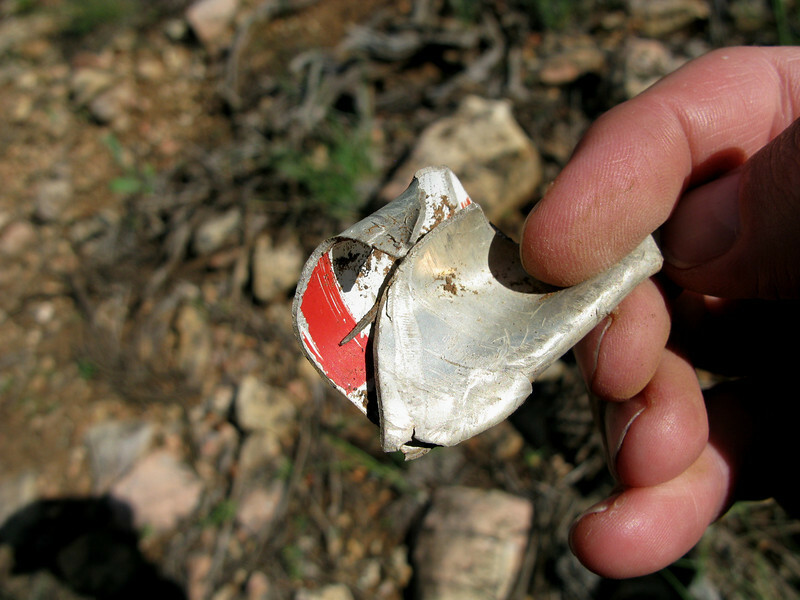 This fragment of aircraft structure still had some red and white aircraft paint attached. 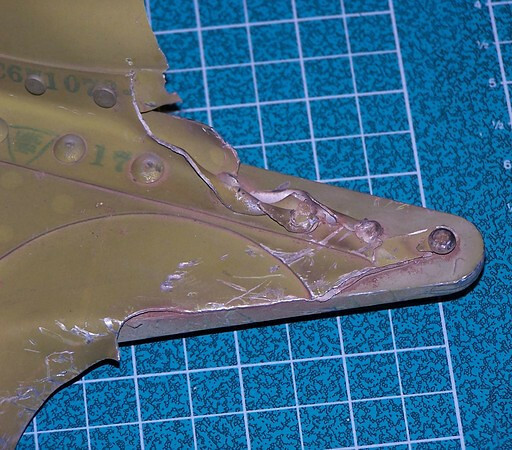 It's difficult to say exactly where this fragment was located on the aircraft, but it's fair to say that it probably came from the lower left fuselage where a majority of the severe damage occurred. 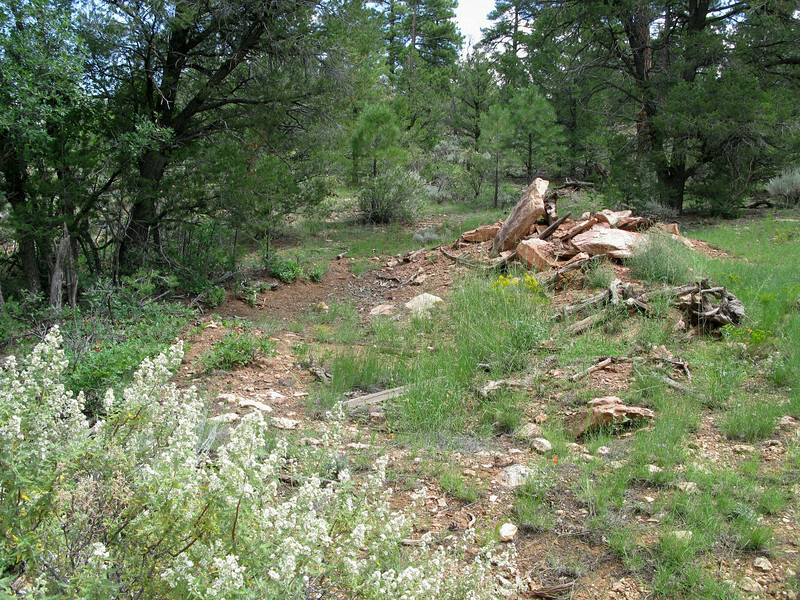 "Canyon 5" tore through numerous trees as it came down in the forest. This one exhibited a propeller cut through the trunk. 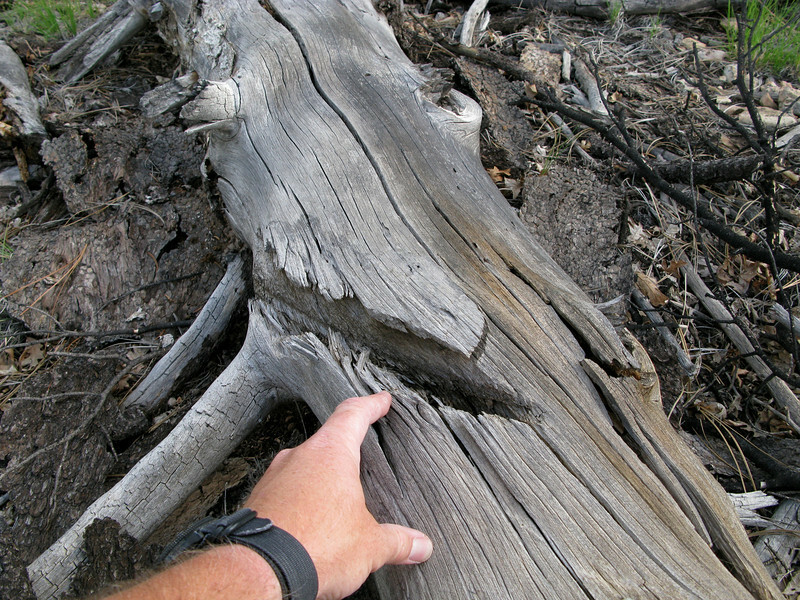 I looked for other propeller tree strike damage at the site, but this cut was the only one I was able to locate. The wreckage path extends only about 75 feet. 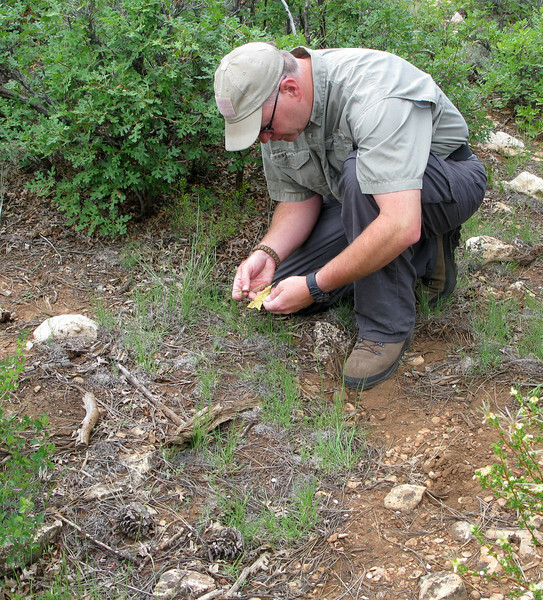 I examined the site for about an hour trying to determine the dimensions of the accident site. 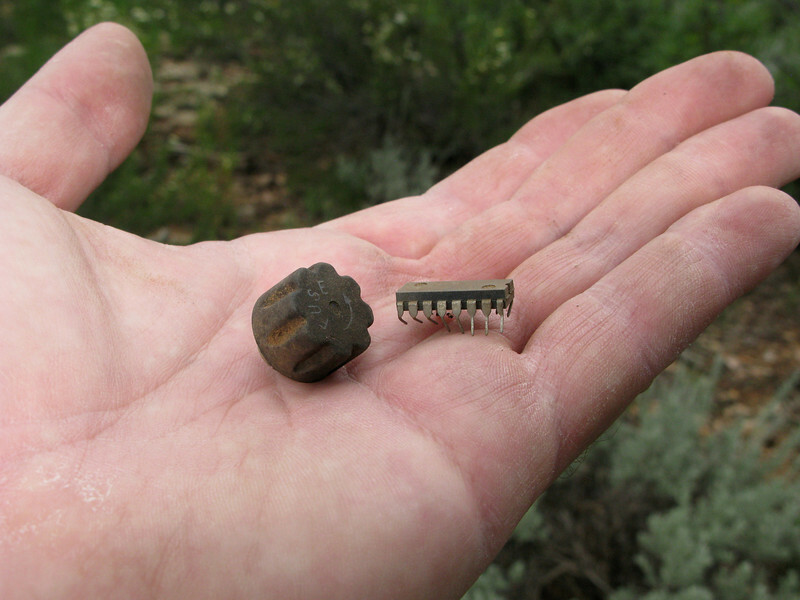 I found these aircraft electronic components in roughly the area of the crushed cockpit of the aircraft. 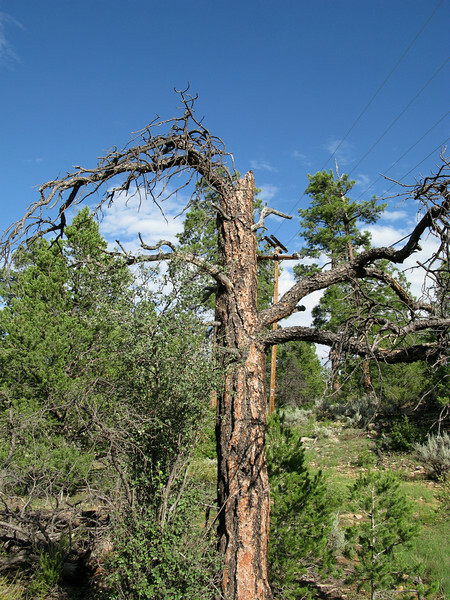 The location of the electrical power line that "Canyon 5" severed during the accident is still in the same original location. 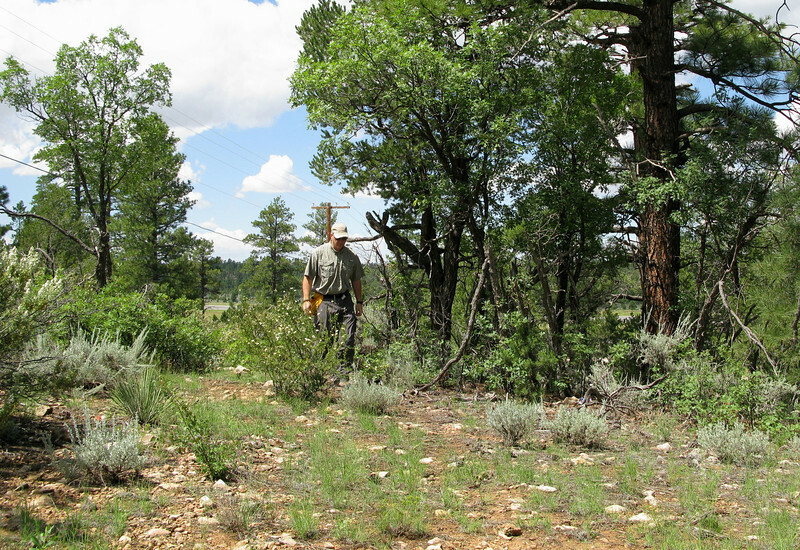 I was surprised to find a portion of the severed power line still at the site after many years. 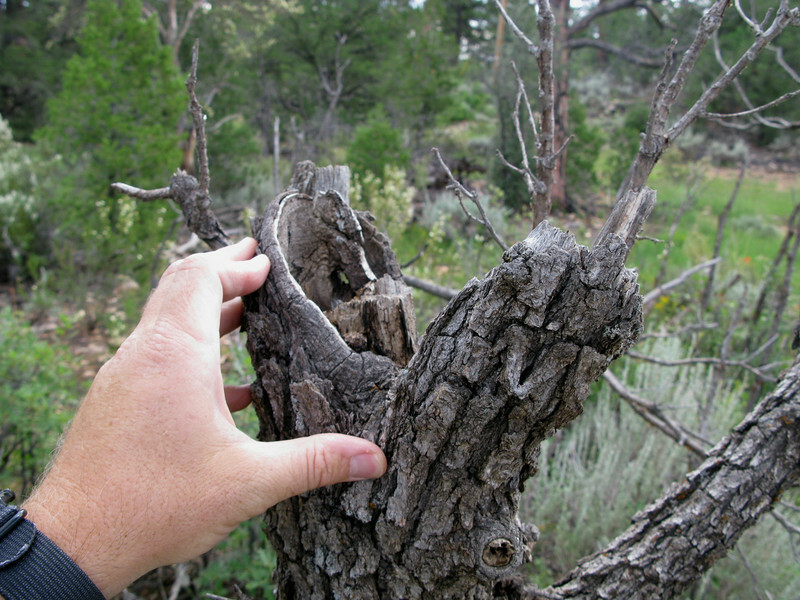 One of the larger trees broken by the "Canyon 5" accident. This tree is about the same diameter as the one photographed that had the propeller cut. A search through the crash site revealed other aircraft/tree impact damage. 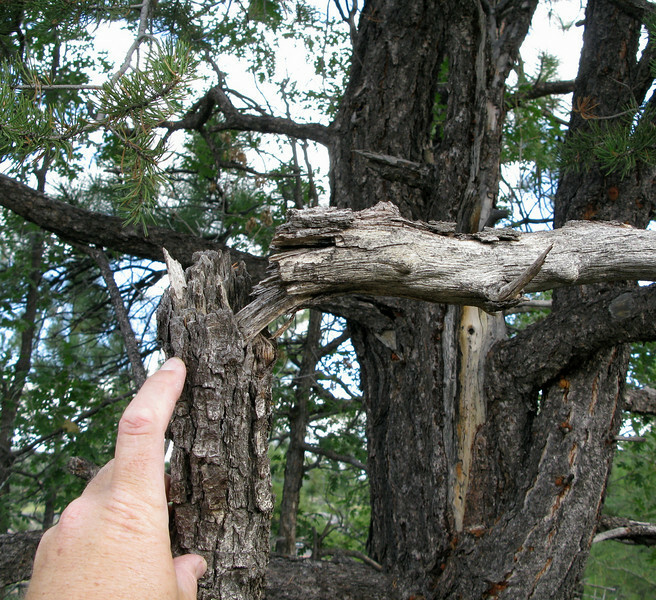 All of the damage to the trees was noted only in the wreckage path and the fracture damage was consistent to the direction of the aircraft travel. At first I was puzzled by this hole excavated at the crash site. Was it some construction activity? I then realized that it was made by clean-up crews removing the contaminated soil created by the spill of jet fuel from the aircraft's ruptured fuel tanks. A MEMORIAL TO THOSE LOST ON "CANYON 5"
I found this memorial left by a family member who lost a loved one in the accident. Personal memorials such as this left at a crash site tell the human side of an accident. A postcard left at the memorial with a personal note to a deceased family member leaves sobering thoughts when read. The message left is reinforced with a picture of a lone VistaLiner on an air tour over the Grand Canyon. 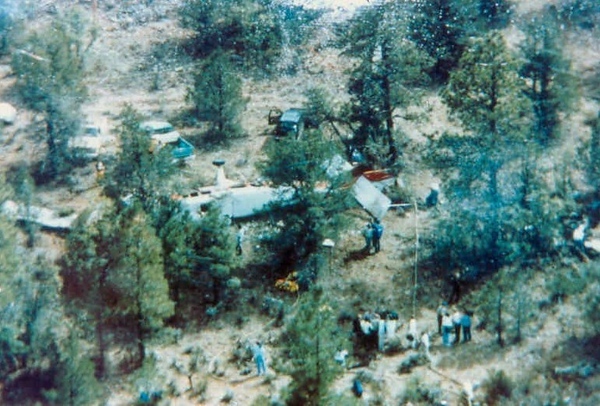 As I prepared to leave the crash site, a sister VistaLiner aircraft to "Canyon 5" flew by on the start of another air tour. 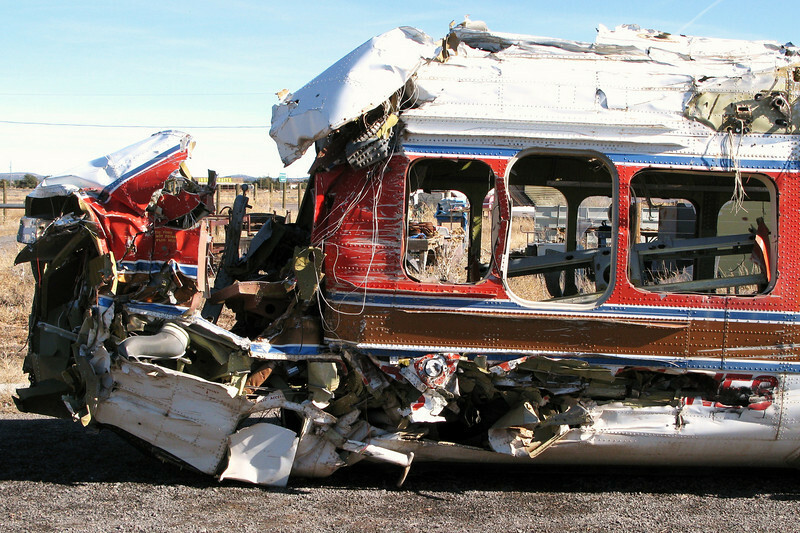 The accident brought about many safety improvements to the air tour company. No longer would landings be conducted with flaps fully extended. Also, a program for the positive transfer of flight controls was implemented. Sworn to never fly with Grand Canyon Airlines again, it would take two decades before Tauck World Discovery Tours would fly another air tour with GCA. My involvement with the saga of "Canyon 5" is a bit unusual. It's not very often that I research an accident, visit the crash site, and then have the opportunity to not only see the wreckage, but also walk through it. Such was the case with the wreckage of "Canyon 5". 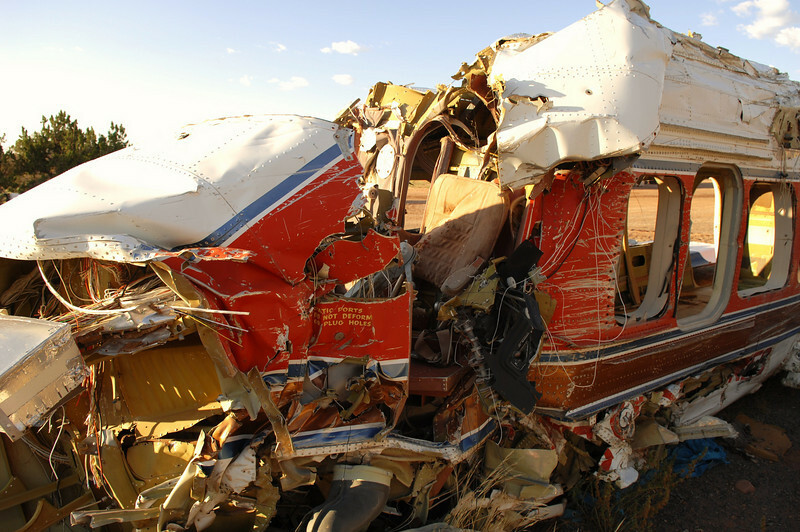 When I first located the crash site in 1991, I thought the wreckage had long been scrapped. Taken to some smelter down in Phoenix and melted down. Not so. 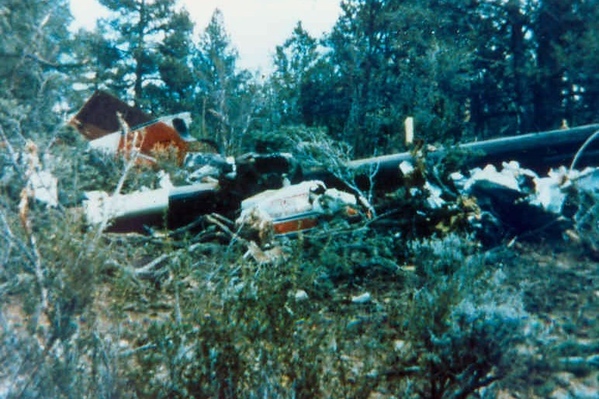 The shattered remains of "Canyon 5" had been purchased from the insurance company by John Siebold who at the time of the accident was part owner of Grand Canyon Airlines. Siebold, who also founded Scenic Airlines in 1967 was also behind the development of the VistaLiner concept. Siebold, bothered by the circumstances of the accident, purchased the hull from the insurance company to further study how his design held up to the impact forces. The left side of "Canyon 5" illustrates the terrific damage inflicted by the impact. 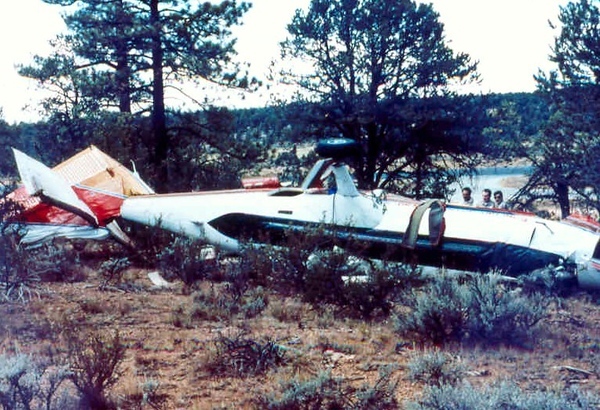 Nearly everyone seated on the left side of the aircraft was killed in the accident. Shortly after the impact with the power lines and trees, the aircraft pitched nose down and impacted hard on it's left side. This photograph taken in late 2008 as the aircraft was about to be shipped to R.W. Martin shows the lower section of fuselage that houses the forward fuel tank cells. The breach in the fuel cells caused a considerable fuel leak that could have caught fire and consumed the fuselage. Fortunately, this did not occur. 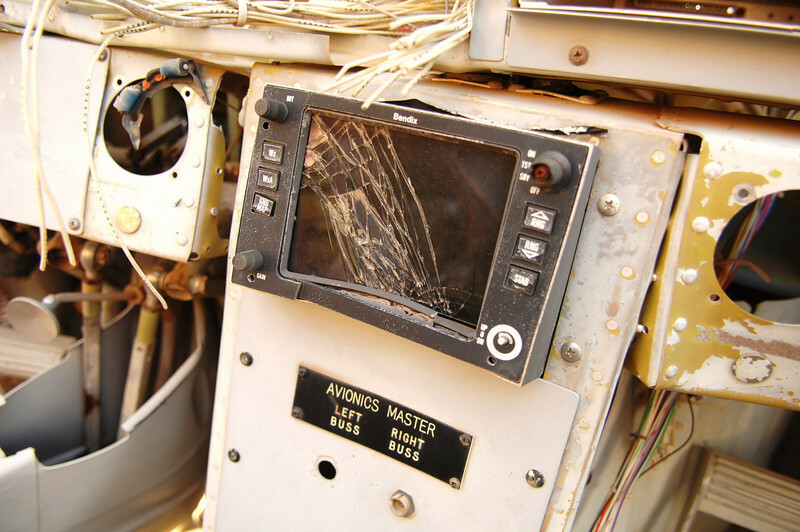 This view of the pilot's flight compartment illustrates the extensive damage sustained to this portion of the aircraft. Captain Welch was killed instantly in the accident. The damage to his seat provides evidence of the impact forces involved. The destroyed weather radar display is still mounted in place.